Md. Bodrud-Doza (Zion), completed both B.Sc. and M.Sc. in Environmental Sciences from Jahangirnagar University. He has proficiency on both scientific and social research. During his undergraduate years, he was involved in collaborative research and several extracurricular activities. He has research experience on hydrogeochemisty, mostly related to groundwater quality & management in both rural and urban context. He contributed in several research articles which are published in reputed journals. One of his prime research interest is to evaluate the mobility of the trapped population and the climate change impacts on livelihood and drinking water vulnerability along with urban disaster risk reduction. In 2016, he achieved the highest score in Research Gate as a MS student of Environmental Sciences, JU. He worked for the Oxfam GB, IUCN, Concern Worldwide, CCDB, ENRAC, Save Our Sea and many other nation and international organizations in different projects and programmes as consultant, GIS expert and volunteer. Zion joined ICCCAD in October 2016 as a research officer. 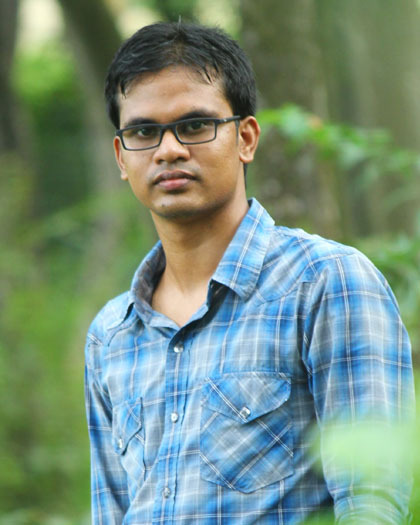 He is a computer-literate performer with extensive software proficiency covering wide variety of applications such as ArcGIS, Rock work, Surfer, SPSS, Delta Graph, R: The R Project for Statistical Computing, Aquachem, MS Office Package, Info graphics, Video Editing etc. He used to train GIS and other software in various organizations and research farms. He was awarded from his department for contributing in the IT sector of Environmental Sciences.